Would you be interested in getting a look at the latest Twitter features being tested before they were released to the public? Well, you’re in luck – this week, Twitter has announced a new application process for its beta test pool, which aims to “explore new ways to make the conversations you care about easier to read, understand, and join”. 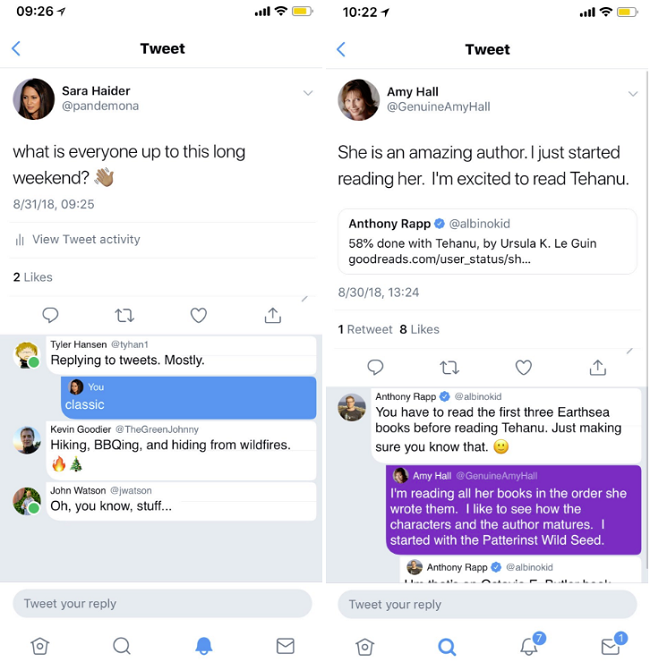 Twitter’s been talking about its coming ‘conversational’ improvements for the last few months, with new updates being tested for replies, conversation prompts and status updates among others. 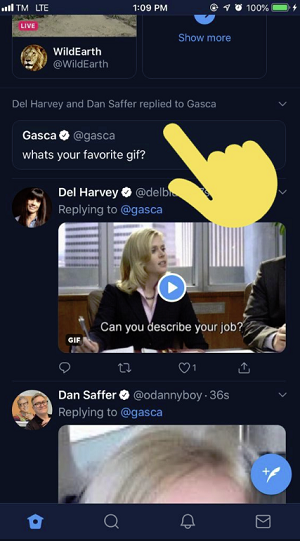 These color-coded replies are likely to be among those being tested with the beta group, along with newer additions like highlighting replies from people you know to prompt more conversation. Twitter’s keen to find new ways to get people engaging via tweet, and while beta testers will not – at least at this stage – get access to more advanced tools like tweet editing (if that’s even in the works), they will be able to try out features like these, which provide alternatives to help prompt more interaction, and could have a significant impact on broader platform use. So how do you apply? If you’re interested, you can fill in the form at this link. The form asks you which languages you speak, where you’re based and what system you primarily use Twitter on. Twitter will then select participants based on what it’s looking for at this stage of testing. It’s interesting to consider the possibilities of Twitter’s potential new additions, though the platform is still dragging its feet on its larger issues, and still seems somewhat hesitant to make definitive decisions on changes or rules – which, in many respects, has slowed its development. Over time, Twitter has become more inclined to utilize an increasingly transparent, collaborative approach on coming updates, which makes sense on many fronts, but it also expands the time frame for any updates, and raises questions over the platform’s capacity to implement change. Of course, if they act too quickly, ‘power’ users complain that they weren’t consulted, so there may well be no winning for Jack Dorsey and Co., but it does seem that Twitter’s rate of implementation has slowed further and further in recent times (note: these conversational features were first shared more than five months ago). Still, it’ll be interesting to see what Twitter looks to test through this process, and what we can expect from the platform in future.